Provides 500mg of Vitamin C per vegetable capsule. With citric bioflavonoids from Citrus Aurantium L. extract. 100% Vitamin C Ascorbic Acid, it provides the daily recommended amount of Vitamin C.
100% Colostrum powder. With more than a 30% of Active IgG. Source of proteins with essential and non-essential amino acids. Provides 10g of colostrum per daily dose. Provides 400mg of Ashwagandha per vegetable capsule. Withania somnifera root extract. Zinc Bisglycinate, 25mg of Zinc per capsule. With dry pumpkin extract and copper. Vegetable capsules. It provides 650mg of Turmeric Extract with a 95% of curcuminoids, per vegetable capsule. With Bioperine® Black Pepper extract. Reduced Glutathione. Provides 250mg of Glutathione per vegetable capsule. 1000µg of Vitamin B12 Cyanocobalamin for each vegetable capsule. Provides 1000mcg of Vitamin B12 methylcobalamin per vegetable capsule. It provides 1000mg of Vitamin C per tablet. It provides the daily NRV of Vitamin C.
Colostrum: 2000mg per daily dose. Suitable for vegetarian diets. With a 30% of G Immunoglobulin. 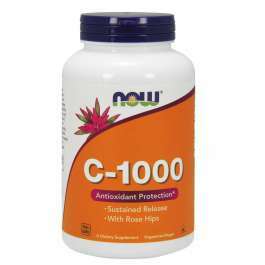 1000mg of Vitamin C per serving with Citrus Bioflavonoids and Rutin powder. It provides vitamin C, calcium, citrus bioflavonoids, acerola and rutin per tablet. Vitamin C with Rose Hip in tablets. It provides 1000mg of vitamin C per serving. Vitamin C with Rose Hip and Bioflavonoids. It provides 1000mg of Vitamin C per tablet. It provides 1500mg of Cordyceps per 2 vegetable capsules. Supports the immune function. 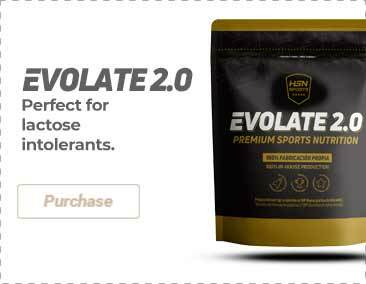 Promotes the healthy cell growth and function. We bought this excellent product at HSN because the price is good and the products of NOW are excellent. It makes me feel more active, full of energy. I also feel how my performance has improved since I started using it. Quite happy with it. I have been taking this product for a while in order to get ready for winter. I always get sick and catch many colds. This year I am doing fine so far! The flavor is ok but I’d rather combine it with something else, like juices or shakes than drinking it just with water. 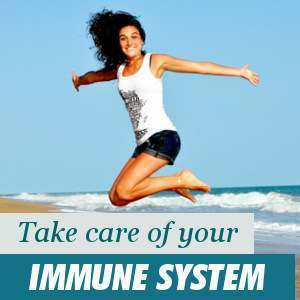 The immune system protects our body our whole life from the attacks of bacteria, viruses, infections and diseases. People with a strong immune system have more defences against colds and other types of infections that could attack and damage the body. An adequate intake of vitamins and plant extracts, such as curcumin, OPC, resveratrol, astaxanthin and pomegranate, also reinforce the defences of our immune system. When the immune system works correctly, the body’s defences can keep the attacks of viruses, pathogenic agents and other types of damaging infections, controlled. However, when the immune system is weaker, the organism will be debilitated and vulnerable to illnesses. Here below, we will explain the complex functioning of the immune system and its impact on our health. Lymphocytes and phagocytes are white cells that are found in the blood. There function is to trap foreign bodies that enter the organism and eliminate them via a process of phagocytosis. To carry out this process the lymphocytes sometimes need the help of other white cells called macrophages. Lymphocytes, along with granulocytes, known as natural killer cells, decompose the viruses and their residues, and destroy them, once they have placed themselves on the walls of the cells. Interferons are signalling proteins, that are produced and secreted by our cells, in charge of warning of the presence of foreign bodies in our organism. Following this moment, when the cells alert of the attack, the macrophages enter in action to activate the immune system and begin the response to this attack of the pathogens. A healthy body is capable of carrying out this defence process without the need of antibiotics. Some macrophages produce an antibacterial agent called lysozyme, that destroys the foreign bodies and viruses. When there is an attack of a foreign body, the cell A will send the information of the attack to the cell B, and the antibodies are quickly put into operation, spreading and propagating throughout the body to protect it. Therefore, the whole body receives information of the attack and the immune system begins to act against these external agents, working to make it harder for them to penetrate the organism. The immune system registers information of each attack, becoming more effective in responding to these foreign bodies. The immune system remembers previous attacks and fights them, more efficiently and faster, when they reoccur. When the protective function of the immune system does not work correctly, it may destroy by mistake, the healthy cells of our body. This effect is the cause of what in medicine is known as autoimmune diseases. The reason these diseases occur lies in the fact that the cells have destroyed their balance and thus do not receive the information correctly, and consequently the immunity does not work properly. This phenomenon takes place in the following conditions: rheumatism and multiple sclerosis, as well as in the cases of allergy. As well as a medical help, optimism and a good state of mind, help to improve the immune system and health. The best medicine to drive away illnesses from our life is positive thinking. Another tip to having a strong immune system, keeping healthy and avoiding the onset of illnesses, is to follow a healthy diet, that includes vitamins and minerals. 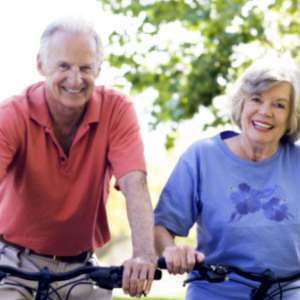 Similarly, practising physical exercise regularly and avoiding stress is also recommended. A sauna followed by a cold shower can also activate the functioning of our immune system. Going for a walk in the sunshine is good for our body and, additionally, reinforces the immune system, because it stimulates the production of Vitamin D and cathelicidin, that has antibacterial properties and stops the onset of diseases. Among the factors that damage our organs and immune system we may note the toxins in the environment, like the smoke from vehicles, pollution, and other substances, like nicotine and tabacco smoke. Once the mucus membranes are attacked, the bacteria can reproduce easily and there is a higher risk of suffering diseases. If you can not avoid being subjected to pollution, avoid there being pollutant substances, like tabacco smoke, at home and keep the air fresh and pure. A balanced humidity and fresh pure air will support a strong immune system and to stay healthy. Also, people who drink a lot of alcohol and consume damaging substances, have weaker defences and their immunity is damaged. Humidity is very important for the respiratory tract and for the correct function of the lymphocytes and mucus membranes, by helping to form a barrier that avoids the passage of pathogens and harmful elements. Hot and dry air is not good for the immune system. Air conditioning dries out the air of rooms provoking the irritation of mucus membranes and colds. A high degree of humidity is good, because the mucosa is less irritated with the dust and pollution that is suspended in the air. Thus, we should avoid hot and dry air. For this we recommend to properly ventilate rooms, and if we have inside plants, to spray water on their leaves, to maintain the environment humid. A medical solution to strengthen the immune system is to vaccinate against pathogens. Medicine advises to vaccinate, as this will help the functioning of lymphocytes and the response against invaders. This can be done via antibodies. Thanks to the cell’s memory, the body will remember for a long time the pathogenic foreign bodies and will be able to respond better to fight them.